JIEM releases a new version of web platform and some changes in the journal’s image. Among them, we highlight new features in the sidebar and a more compact image adapted to tablets. 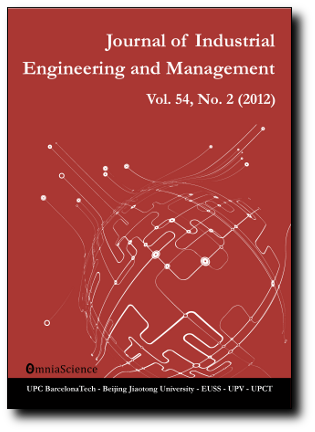 Printed edition of Journal of Industrial Engineering and Management Vol 4, No. 4 on Lulu. ICOVACS 2010: International Conference on Value Chain Sustainability. The best papers of the Conference will be published in a Special Issue.